Bride-to-be Nompumelelo Ngubane’s body was found in her car at KwaPata on Friday, the eve of her wedding day. On Friday, the eve of her wedding day, Ngubane’s body was found in her car at KwaPata. Her family believe she had been strangled to death and police are investigating a case of murder. The mother of two, from Edendale, is believed to have left home on Friday morning to go to a hair salon and to fetch her wedding gown in the CBD. 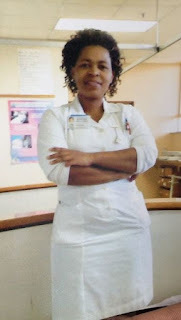 Ngubane, a nurse at Edendale hospital, was due to get married on the weekend at the Golden Horse Casino. Speaking to The Witness, her grieving mother Ntombifikile said she had last spoken to her daughter at around 8.30 am on Friday. Her mother said they later learned that Ngubane did not arrive at the boutique to fetch her dress as per the arrangement. Ngubane’s body was found slumped in the passenger seat of her car at around 7 pm on Friday in the KwaPata area in Edendale. According to her family, there was a belt around her neck, suggesting she had been strangled and her face was covered with her head scarf. Her handbag and her wallet and cellphone were also missing. Her car was seen by locals on the side of the road from around 2 pm that day but they did not realise that a body was in the vehicle. One of her relatives who lives in KwaPata was told that Ngubane was missing and she later found out that the car had been spotted in the area. “Most locals who had seen her car in the area thought she was there to visit the relative. Ntombifikile said after searching for her daughter for hours, the relative told her that her daughter’s car was parked in KwaPata. The relative then discovered her body. Police and paramedics were called in and they declared Ngubane dead at the scene. Ntombifikile said weeks before her wedding, her daughter had received numerous threats telling her to cancel the nuptials. “She received numerous threatening calls and WhatsApp messages for her to cancel her wedding. A few weeks before the wedding, we found a letter that was slipped under the front door and the letter told her to “cancel the wedding or die”. Ntombifikile described her daughter as a loving and kind person who loved her children. “We are all still very shocked. She was very excited — as we all were and looking forward to her wedding day. It was all she spoke about in the past few weeks. Plessislaer police station spokesperson Captain Musa Ntombela said they are investigating a case of murder and that no arrests have been made yet. Ngubane will be buried on Saturday.